A group of ‘bukeyashiki’ samurai houses in ‘Chiran’, Kagoshima Prefecture, features exquisite combination of stone fences and hedges. The feudal lord of Satsuma domain, present Kagoshima Prefecture, the main driving force of Japan’s modernization in the 19th century, didn’t station his samurai warriors in Kagoshima City, but in the many districts of the domain. Each of the samurais lived in their own settlement to rule the assigned district. ‘Chiran’ was one of them, and the old townscape dating back to the 18th century is very well preserved as shown in the first picture. 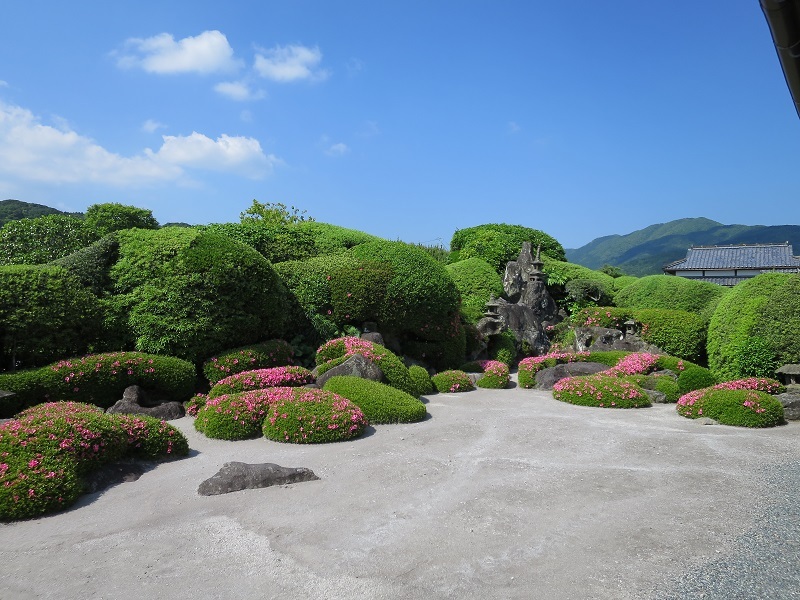 A curved and winding central road with branch roads are flanked with many samurai houses, among of which the leading seven private gardens, as shown in the second picture, are opened to the public. 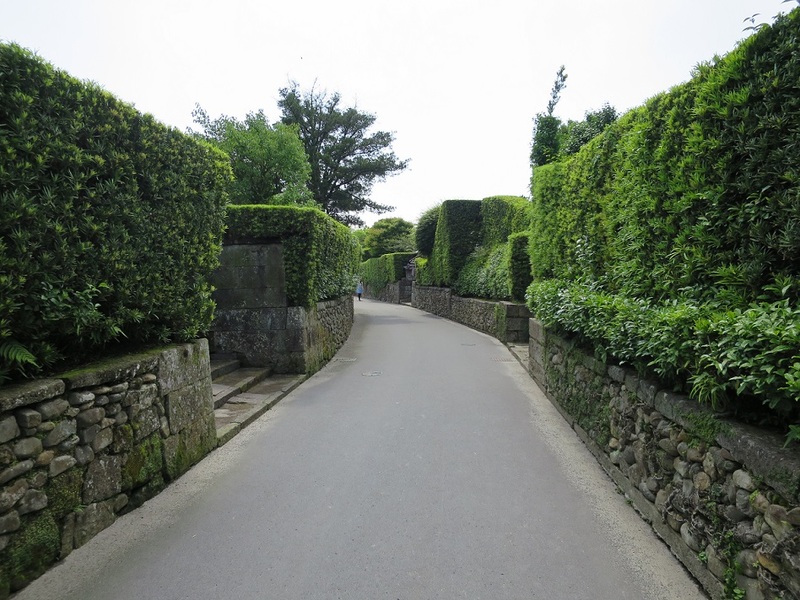 This beautiful townscape together with seven gardens were designated as ‘Group of Traditional Buildings’ in 1981. The streets are always maintained and cleaned without compensation by the locals.